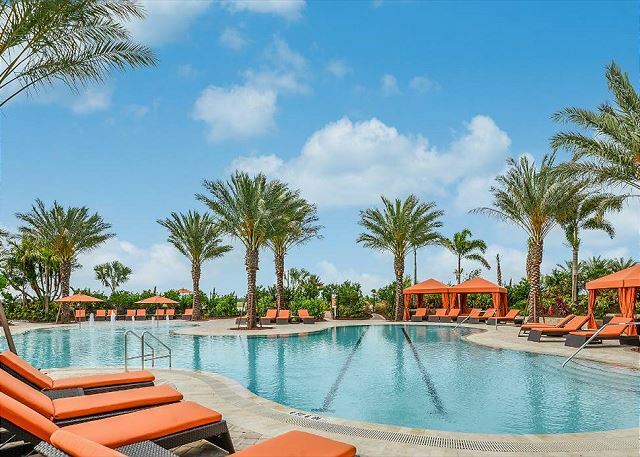 Imagine the opportunity to live in a brand new, fully furnished pool home within a luxurious golf and country club community in Naples...that is just the lifestyle our Lazio home in Esplanade Golf and Country Club has to offer! Currently under construction, Lazio is a 3 bedroom plus den, 3 bath single family home complete with covered and screened outdoor living and dining areas, a wet bar with built in grill, an oversized pool and spill over hot tub, and a 2-car garage. The open floor plan comprises a kitchen with gas range that leads directly out to the lanai, a large living room, dining area, and a den/study located across from the dining area. The master bedroom overlooks the pool and has an en suite bath with walkout shower, oversized closet, dual vanities and a private W/C. Two guest bedrooms and baths are located at the front of the home. A proper laundry room leads in from the garage, offering plenty of space to store your golf clubs, tennis rackets and beach gear! The Esplanade community offers a championship golf course, tennis and pickle-ball facilities, a fitness center offering group classes and personal training, a full service spa, and a resort style pool complex centered around the Bahama Bar, which offers a full restaurant and bar menu with covered outdoor seating. All of this is within the 1,798 acre community, of which 1,000 acres are nature preserve. 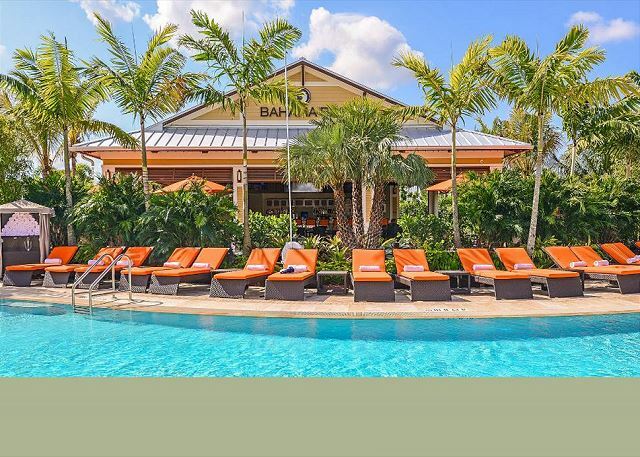 Located in North Naples, Esplanade is convenient to beaches at Vanderbilt and Delnor Wiggins State Park, restaurants and nightlife at Mercato (all within 10 miles), RSW/Southwest Florida Airport (25 miles) as well as conveniences such as grocery stores, dry cleaners and nail salons just outside the gates. Tee times at the Esplanade golf course are available to the public. - During peak season January-March, a 2 or 3 month minimum may be required. Please inquire for availability of your desired dates! *Photos are of the model home, our property is not yet completed but will have similar finishes and furnishings. Inquire with specific amenity and furnishing questions! *Dogs selectively permitted with prior approval, please inquire.